The Range Rover Sport offers the interior panache worthy of the Range Rover name, yet packages it in a vehicle that exudes a much more aggressive nature. If the price tag doesn't discourage you from taking your prized possession off-road, in the dirt the Range Rover Sport can make the novice feel like a pro, and make living with the experienced off-roader simply unbearable. Nice for luxury, costly when it comes to frequent maintenance. I often times have trouble with the wheels and the check engine light always comes on. There seems to be constant wiring issues. The gas mileage is not the best. 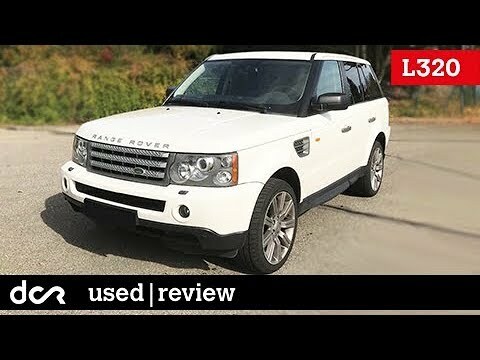 So overall it is not that reliable and the parts for a land rover are very expensive. It is very comfortable and has wonderful luxury car features but it is not the best car in the long run. I feel like I always have my car in the shop. Luxury and reliable SUV that would fit all of your needs. This car is awesome. Only thing though is that since it is a five liter engine it does take a lot of gas. Reliability is good too because it is an all wheel drive and I believe a four by four. Another problem is that the tires do wear out quickly on the car so I either have to get them rotated or new ones. It's a safe, luxury, appealing to the eye SUV.. Highly recommended!!! I love it. It is a luxury sport utility vehicle. It droves smooth like a luxury car. Is pretty to look at & very roomy. I love Land Rovers.. just wish they didn't change the Range Rover Sport model's body. No complaints!!! Great ride!! !